Anyways, I’m getting back to interviewing some people in the affiliate industry and I wanted to do something different this time. Instead of interviewing an affiliate I want to add more interviews from managers working in the industry, either from an Affiliate Network, Traffic Network, Advertiser or any SaaS company related as they can provide interesting insights as well. Today I bring you guys an old friend from Spain who’s been working in the last 12 months in a very interesting project to unify the tracker (a basic and a very important tool in the set of any paid traffic affiliate) with an optimizer tool and also a wallet of offers from different networks through an API. His name is Jorge I interviewed him last week so he could talk a bit more about what he’s doing and how he intends to change this industry. Jorge is no newbie in this industry. I met him first 6 years ago in an online forum and I’ve seen him (plus grabbed a few beers with him) plenty of times in different affiliate conferences. Let’s get to the interview and as always, bold letters means I’m asking a question and italic means Jorge is answering back. 1. Hello Jorge. It’s been a while since we meet probably 4-5 years ago. If I remember correctly we first spoke through a forum. Can you tell us more about yourself, what do you do and how did you get involved in the affiliate marketing community? Hey Servando, that’s right! I believe it was in ForoBeta back in 2013. Time flies! Sure, I started affiliate marketing in a small agency by 2011; getting to know this lovely and changing world. I was dealing with Advertisers and also with Publishers looking for new ones all the time and basically attending their demands. Email marketing, RTB and Website were the main channel, branding and performance the goals (Mobile was not on the pipeline yet). Then I jumped into mobile and start to play with the rest of things we have now days, (pop, redirect, native, toolbars, banner, search etc..) getting more knowledge and getting to know lots of people from this community after. Thanks to all those years seeing pros and cons, good and bad developments, good and bad decisions, I came out along with a good friend with the idea to create a solution that really can help the business: LandingTrack and that is right now what is taking me 24 hours a day. 2. Did you ever run campaigns as an affiliate or was your work mostly focused on managing publishers for the networks you worked with? Do you still run campaigns nowadays? I did run campaigns in the past – after all if you really want to understand what this business is about, how it works, what is going on etc. You must try yourself; theory is something quite useful but you must apply the practice to create your own opinion. Talking with Publishers from every-activity, plus Advertisers plus running campaigns it really helps me to have a global picture. Nowadays my only focus is our little baby LandingTrack. 3. What are your favorite hobbies. Where do you live or where can people find you besides online? I am living in Barcelona in this moment but I was travelling quite a lot over the last years so still not sure if I will jump into another adventure. I like travelling and getting to know other cultures, people, and different ways of thinking. I love music and cinema without them I wouldn’t be the same LOL. Born in the 86 means: Video-games and everything related. After all, Servando, I am pretty curious about everything that surround us and I enjoy with it. It was 2017 when I was setting up the whole CPA dept for Headway and beside doing all the integrations (Advertiser/Publishers) I had to handle the media buying team; with a huge lack of time I remember travelling to Madrid and visit one of my friends who use to work for Mobusi and tell him the story: “Buddy, I really need a tool that can help me to control everything. I need API integration with Clients to pull out offers and API integration with Traffic sources so I can manage the traffic and I need automatic rules to control all traffic so I can dedicate my time to other activities” and this is funny because his answer was: “that is pretty easy”. So, we start to work on LandingTrack in that precisely moment. 5.Can you list the top 3 features and benefits of Landing Track? Auto-optimization base on your rules: our workers check every minute your traffic source to apply your optimization rules. 6. What’s the main advantage of using LandingTrack against regular trackers like Voluum, Binom, Thrive, Adsbridge, etc. LandingTrack has been designed to be “the New generation of tracking system”; as you know is not only a tracker it is a new concept. To make things easier for everyone we combine and integrate all in one platform so you can control everything with us: and every week we work to add more and more. We give to our customers the option to work with TOP affiliate networks and pull out offers from them with no tech knowledge. We give also to our customers the option to work with TOP Ad Networks (DSP) through API so they can control their traffic. Important: hassle free. We are the only ones adding automatic rules to control all traffic. Guaranteeing minimum loss, control and time saving. Finally, you can control without checking every minute. Having your demand connected (advertisers) and supply (Traffic Sources) plus optimization rules that help you in your daily work is our main focus and this is really our advantage over any other tracking solution. Besides all those new feature plus many more, we have added something pretty important: Cost. You really know how hard was the beginning of media buying and the cost from your tracker is pretty important so with LandingTrack you won’t need to worry again. As a summary, finally there is a tracking system adding value and doing things different from the rest. 7.Can you show us a few screenshots of your software in action? This is how it looks on the Profile of you Dimension / Campaign when you run with different traffic sources. As you can see, you control the cost -the profit and every action like: Pause – Activation campaigns from LandingTrack. As I mentioned before, with Landingtrack you can control Traffic sources from your account, Pausing, activating, blocking, rising/dropping bid etc. Our workers are running every minute to check your rules and apply them in case it is need it but beside that you can always take manual decisions. 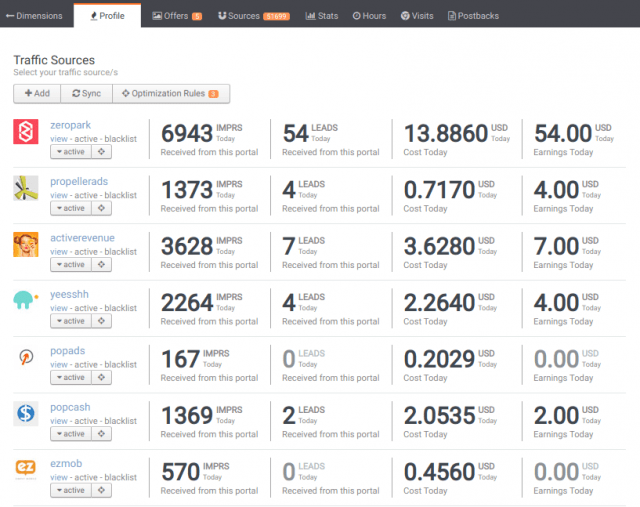 You can narrow your stats, filter by geo / carrier / browser / apps / sources / OS / Offers etc. the more info you have the easier your activity will become. Almost forgot it but it is super important to mention that LandingTrack creates Campaigns – we call it Dimension because you can create for each one of those: A Smart link which rotate the offers inside in real time by eCPM. A campaign /Dimension can contain one offer or 1 million offers, can have only one pre-landing or 2,000. It’s up to you and beside that you can set up your redirect rules to control 100% where the click will end; so, after all we have built something for you to play with. 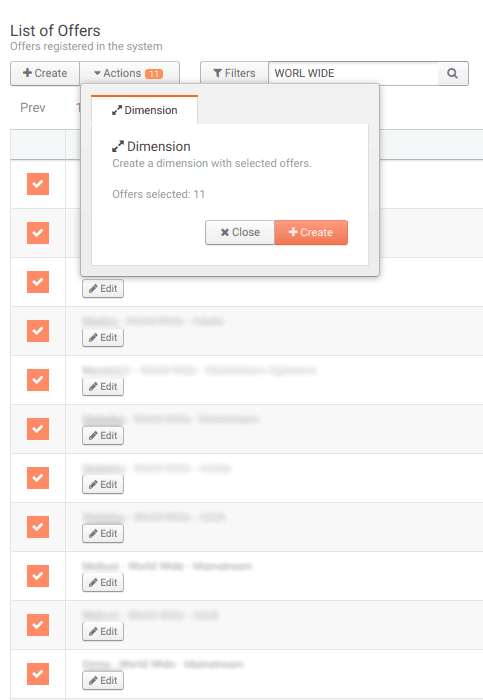 As you can see, you can select multiple offers to run on a single campaign and rotate them. If you want more information about LandingTrack and how it works you can read the documentation here. 8. Is LandingTrack a cloud hosted service or do we to setup a server of our own? As you may guess LandingTrack is a cloud solution managed by our team but it is important to know that each user will have an independent server for its activity – provided by LandingTrack. 9. If we need our own server (self-hosted version), what kind of specs should we look for? No need to get a server unless you want to run with pre landings – then you should have your own server in order to host that specific activity. 10. How often do you push new updates for LandingTrack and what can people expect for 2019? Well, actually we work day and night on this so update usually come every week or every 2 weeks, since we have to add new Traffic sources / Advertisers we cannot stop this train. 11. OK, so what’s the pricing and do we have a coupon or discount for our readers? Do you have a free trial? I do believe in free trials so we offer 15 days to test what we have listed above plus a 20% discount for the first 2 months after that exclusively for your readers. The only way to have an opinion of our Software is by trying it yourself. You can also use the promo code: “servando” or just click any of the referral links in this article. Our smallest package starts at 50$ per month with 5 Million clicks and the master one offers 150 Million clicks/month for only 650$. After all our main idea and philosophy here is to help. So with LandingTrack everyone will be able to start/try this business while experienced users will be able to open and scale more their activities. 12. I’m sure this is a question most affiliates ask themselves when working with a new tracker or tool like this: How do you make sure their data is safe and it can’t be accessed by the owners of the tracker/optimizer? And you are right Servando, it is important to know and note that we create tools, that is our passion. It is like other software around which provide service to help customers. We do the same and we do not need other type of activity. Basically, our business is technology, we have several tech projects going on and believe me that media buying is not something we are interested, it is simply not our business. 13. 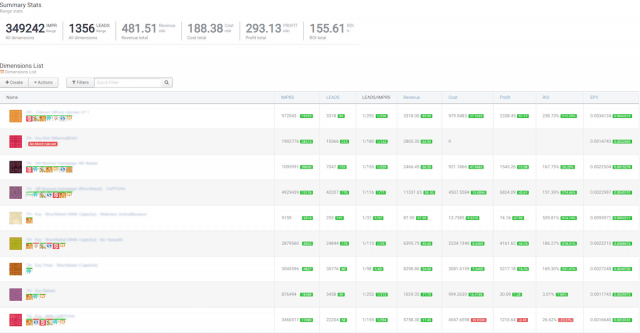 Now that we know LandingTrack is not only a tracker but also an optimization tool, how does it compare to another SaaS like “the Optimizer”? The idea was always the same – one stop solution – I think I am not the one to compare here as I have never tried “The Optimizer”. All I know is that we track real time and optimize every minute. And if you ask me what it is LandingTrack I will say: it is a platform that combines: Voluum + Affise + the Optimizer. 14. Which traffic networks does it support so far? 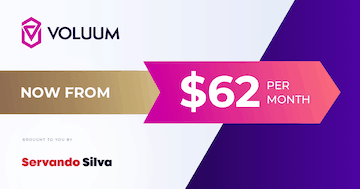 Right now we did full integrations with pop/redirect Ad-networks such as: Propellerads – Popcash – Zeropark – Yeesshh – Active Revenue – SelfAdvertiser – AdMaven – Explorads – Ezmob – Popads – Exoclick – Plugrush. Our goal is to start 2019 adding more traffic source and cover the Push notification side of all those Ad-networks, this will allow us to explore all DSP to run display with LT and add automation on that field too. Also, we support Demand (Advertisers) such us: KImia (ArmorAds) – Clickdealer – Traffic Company – Mobusi – Headway – Mobidea – Any Affise or Offerslook partner and many more coming in. 15. Is there an easy way to switch from a different tracker to Landingtrack without swapping all of the links and postbacks from the networks we work with? We have some other projects that can help the post-back side but at this point I think is better to start from scratch with LandingTrack to know how we work and once you decide to move, we will help you with the set up. 16. OK, thanks for answering all of our questions about LandingTrack. On a different note, where do you see the affiliate industry going in the next couple years? It has been a while now that I believe that affiliate marketing will be here – as always – but people need to realize that it is not easy, and like any other job you must invest in time, money and knowledge. Players will fall and new ones will rise and without the help of technology our industry will become harder. 17. Alright, thank you very much for the interview. I’m looking forward to see you next year in any affiliate related event! Pleasure was mine Servando I’m looking forward to meet you again as well!